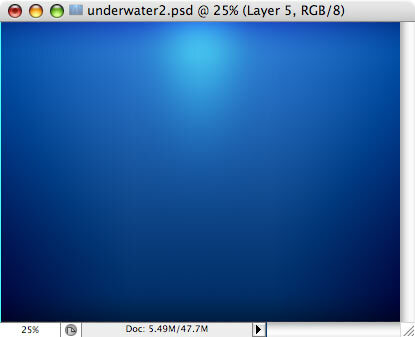 Tips about how I made the Underwater Wallpaper (see wallpaper). Start with blank document. 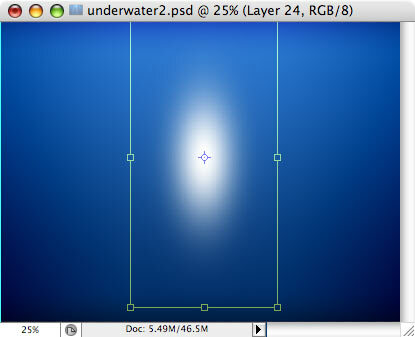 Fill background layer with gradient going from light blue to dark blue. 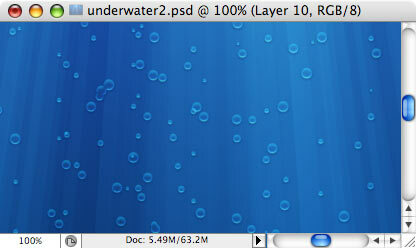 In Layer effects, use very large (250px) black Inner Glow, with blend mode = overlay. 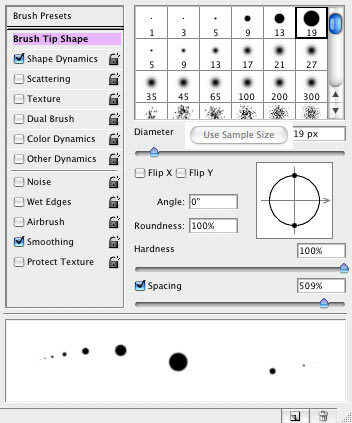 In new layer, select very large brush, set color to white and put a single dot. Transform layer (Ctrl-T) to make dot width less and height more. 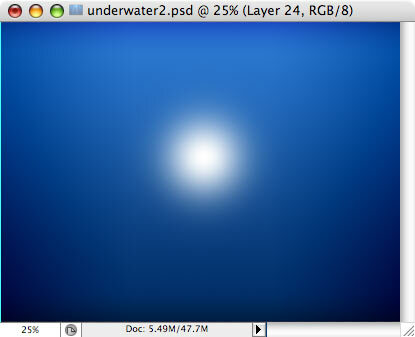 Move white dot to top of image (so that only bottom half of it is visible) and set its layer blend mode to Overlay. 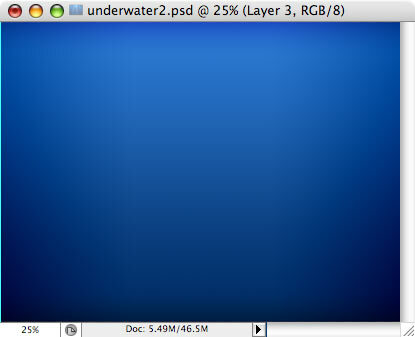 Duplicate this layer and make it about 50% smaller. Next step is to create nice light rays. Create new document, with square size (width = height), and width is about 200% of your original image width. 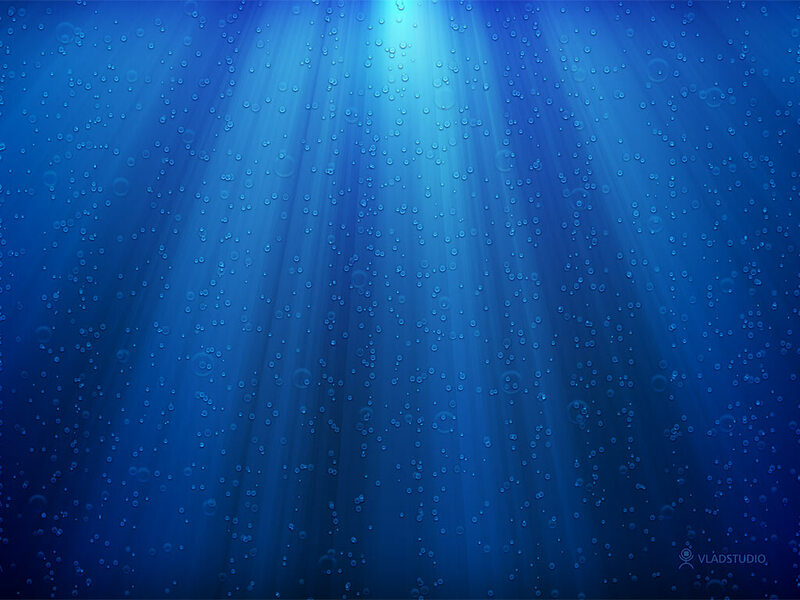 (if you design wallpaper at 1024×768, create 2000×2000 image). 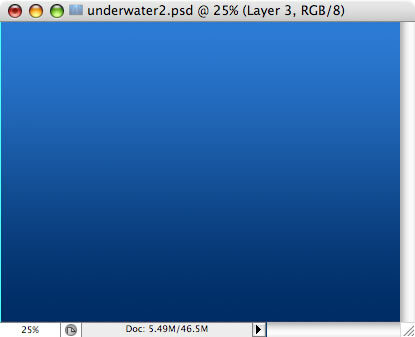 Fill it with any color, and in Layer effects, check Gradient Overlay. 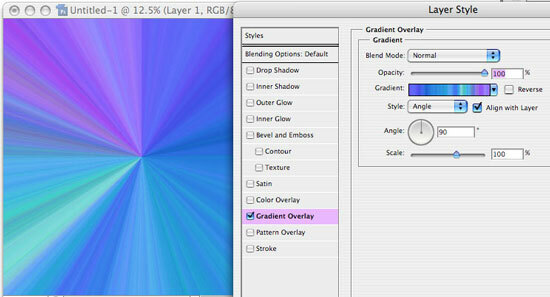 Open dropdown list of gradient selection, select Noise family of gradients, and select any noise gradient. Then, set Style to Angle. 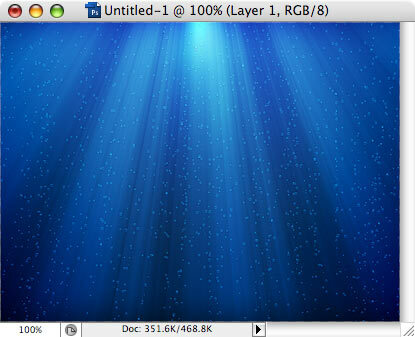 To convert Layer effect to editable image, flatten image (from Layer menu). 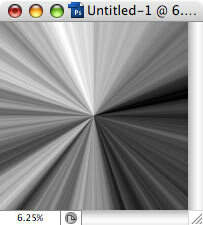 Desaturate (Ctrl-Shift-U). Crop image as shown here. 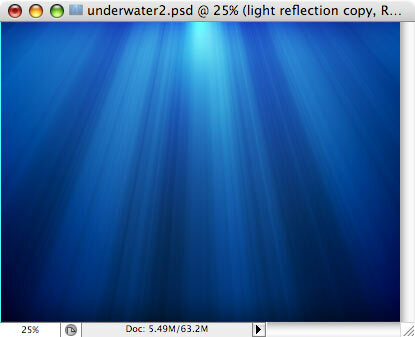 Example: if entire image with gradient is 2000×2000, crop to 1024×768. Copy all (Ctrl-A, Ctrl-C) and paste into our original image. 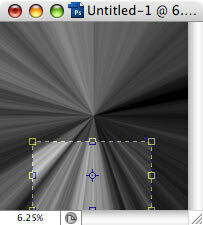 Then, simply set the blend mode of this layer to Overlay. Voila! Next step is some bubbles. Select 19px hard brush, and set its spacing to very large value (500-700%). 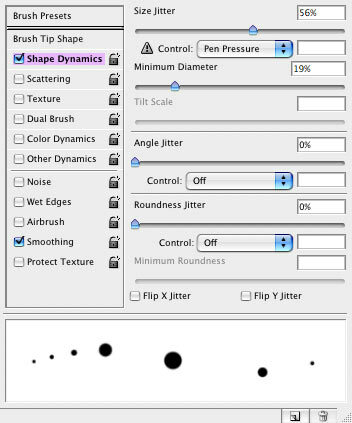 Also, check Shape Dynamics, and set size jitter and minimum diameter as shown here. Make some chaotic btush strokes. 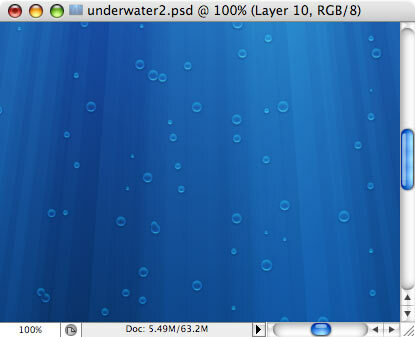 Set layer blend mode to screen (this will make black dots invisible). 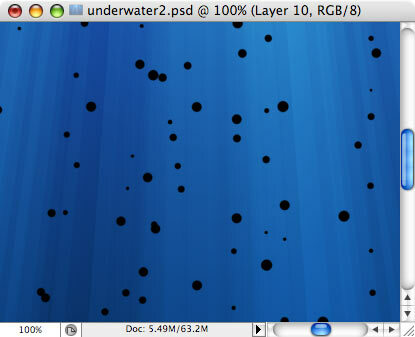 Then, use layer effects (such as inner glow, drop shadow, bevel and emboss) to make dots look like bubbles. 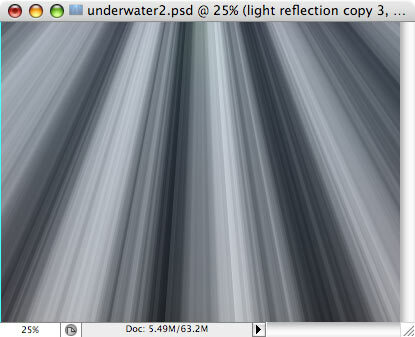 Registered users can download PSD file from Downloads page of my site, and see what exactly effects are used. Repeat bubble-making steps 3-4 times.